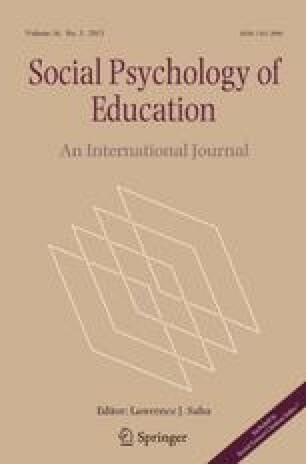 In this study a mediational model was constructed to examine relationships between refined measures of childhood and adolescent social capital and the aspirations of adolescents with varying academic capital and from differing social status and ethnic backgrounds. Longitudinal data were collected from 460 16-year-old Australians and their parents from Anglo-Australian, Greek, and Southern Italian groups. Using partial least squares path modeling the findings suggest: (a) family background, childhood social and academic capital, and adolescents' social capital combine to have medium to large associations with adolescents' aspirations, and that the associations are larger for educational aspirations than for occupational aspirations and stronger for males than for females; (b) the mediational model is more successful in explaining family background differences in educational aspirations than variations in occupational aspirations; and (c) after taking into account social and academic capital, Greek males continue to have higher occupational aspirations than do Anglo-Australian and Southern Italian males, and sons of fathers with high social status continue to have higher occupational aspirations than do other male adolescents. The investigation indicates that within encompassing family backgrounds, differences in educational outcomes should be examined in relation to children's and parents' perceptions of social and cultural capital and to variations in children's academic capital.